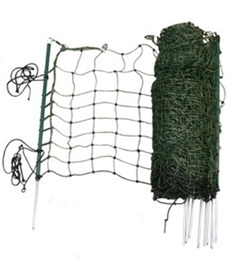 A high quality Rabbit Fencing Net with integral posts. 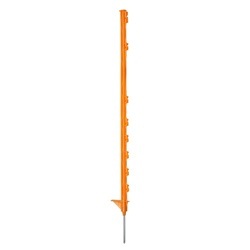 The crossing points of the horizontal and vertical wires are welded with plastic seals to create very strong joints. 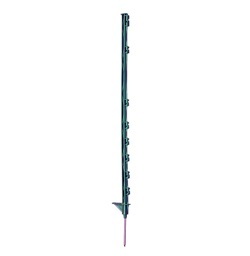 All posts are green and equipped with steel spikes. 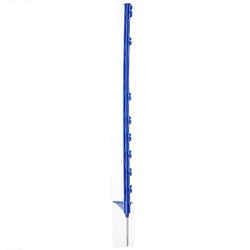 All horizontal wires are electrified except the bottom wire - this prevents leakage to earth.